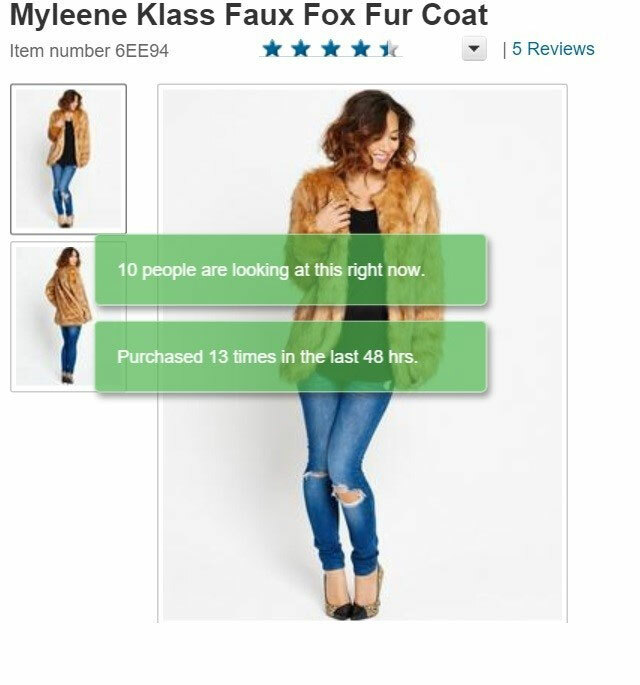 Online retailers would be wise not to ignore the impact of social proof. Social proof is essentially a “psychological phenomenon" where people assume that what others are doing is the correct behavior in a given situation. In relation to e-commerce, social proof such as product reviews, customer ratings, and lists of products that customer "also bought" can all be used by online retailers to increase the likelihood shopping prospects will complete a purchase. When consumers see a product with a high number of positive reviews, for example, they are more inclined to purchase it over another. While social proof is a common practice on websites today, its use is finally extending into the realm of advertising. Jivox, for example, recently announced a partnership with Taggstar where the popular marketing and advertising platform will use Taggstar’s Social Proof Engine to pull real-time data about product popularity and other trends based on shoppers’ online browsing history, making it possible for users of the Jivox IQ Dynamic Ad Platform to personalized ads in real-time using the data. Shop Direct, the UK’s fourth-largest online retailer, recently added social proof messaging to its flagship Web sites. As a result, the retailer drove a massive 2.7 percent uplift in its sales-conversion rate – equating to £14M ($20M USD) over 18 months.